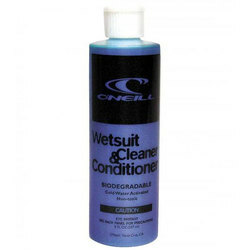 Browse similar Wetsuits by Xcel, clearance Xcel Wetsuits, or click here for all Full Suits. 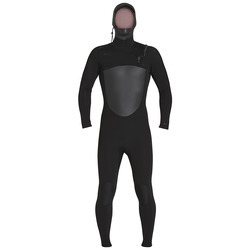 The Drylock 5/4 Hooded Full Suit by Xcel offers the utmost in cold protection and comfortable construction. It is made from top-of-the-line materials with a design that keeps cold water from getting in. Made with a waterproof Drylock zipper, the entry system keeps as much cold water out as possible. It also has crossover neck entry design to allow a conveniently wide entrance at the neck. 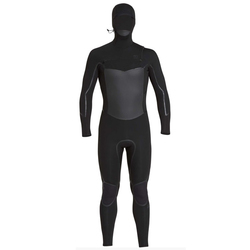 Drylock wrist seals and Geotex ankle seals keep cold water from getting in near your extremities. 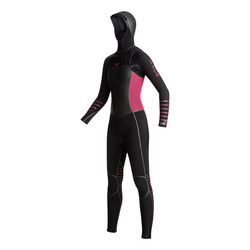 Ultrastretch neoprene material allows comfortable freedom of movement and provides lightweight and warm insulation. 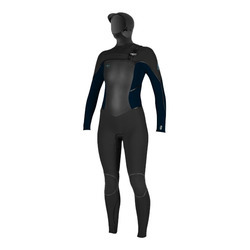 A hydrophobic outer lining allows the Drylock 5/4 Hooded suit to dry quickly, and a Thermocarbon inner lining made of bamboo and recycled materials has a soft feeling and outstanding heat retention. 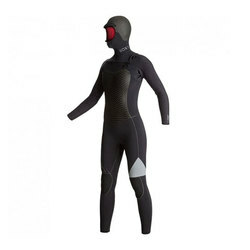 The suit also has minimal seams to promote comfort and flexibility. The seams that it does have are contoured for comfortable movement. They are also taped with Fusion seam technology or pressure bonded with glue and blindstitching to prevent leaks and permit as much flexibility as possible. 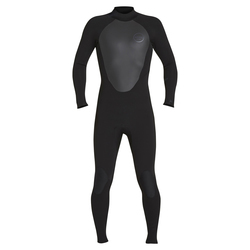 Duraflex knee panels make it easy to bend your knees, so the Drylock 5/4 Hooded wetsuit is unbeatable for surfing or other activities. 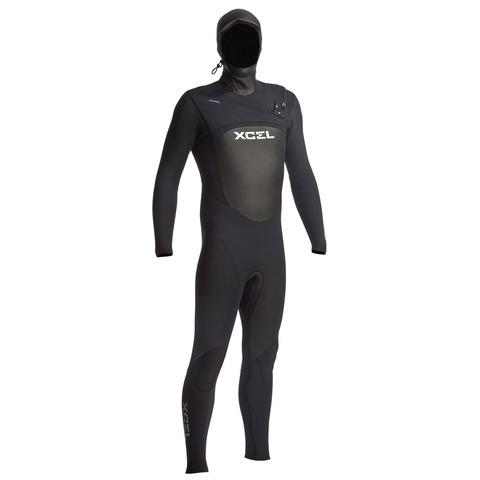 "The Xcel Drylock 5/4 Hooded Full Suit has everything I need in an insulated suit to keep me warmer in cold water right down to the attached hood that cinches down to seal out water. 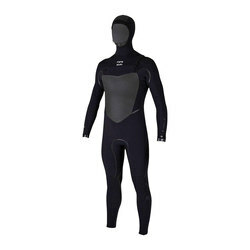 The zipper chest entry makes it easy to get on and off, and the air-chambered insulation airprene lining keeps me warm."